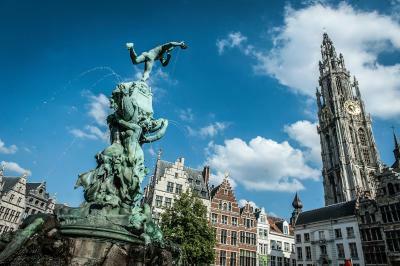 Lock in a great price for Hilton Antwerp Old Town – rated 8.4 by recent guests! The entire staff was fantastic and made for a great stay. Totally amazing place in fantastic place. We were traveling with kids (5 and 9) and we stayed in king suite. Room size was fantastic. It's Hilton so we had huge expectation that was met in each and single aspect. Location is fabulous Cathedral is just aside the corner. Staff is friendly and helpful. Business lounge on 5th floor is a great private meeting point. The staff was so friendly and accommodating! Perfect location as well! 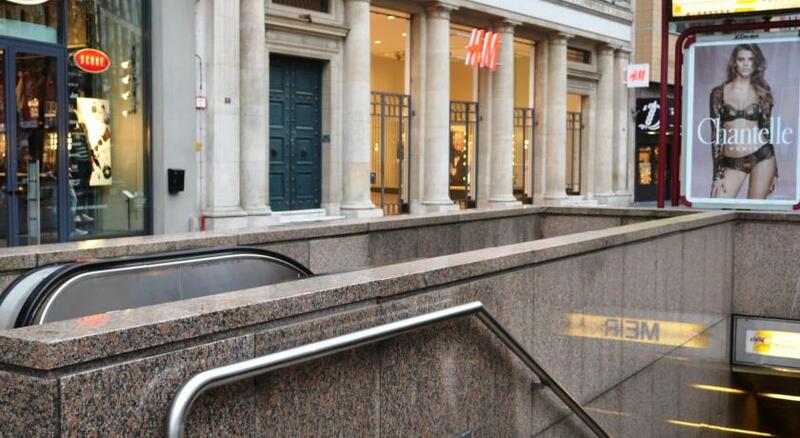 Location is superb, parking just under the building, nice restaurants around, easy to get by. Nice location. 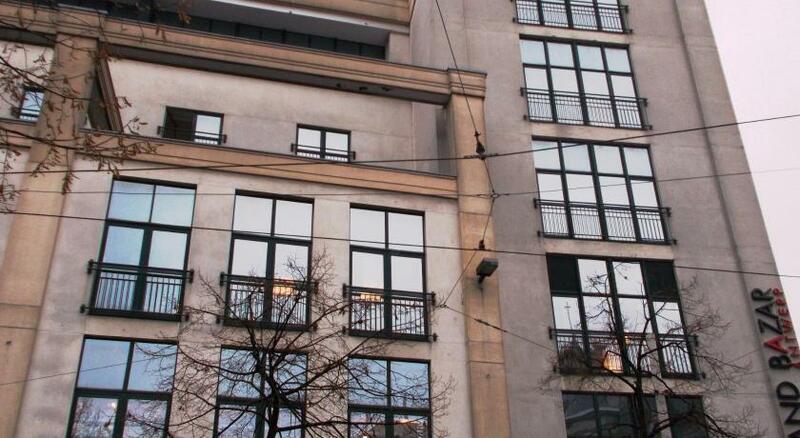 Building looks very good from outside but from inside is normal and kind of old. Fantastic service in the lounge. We were really taken care of. 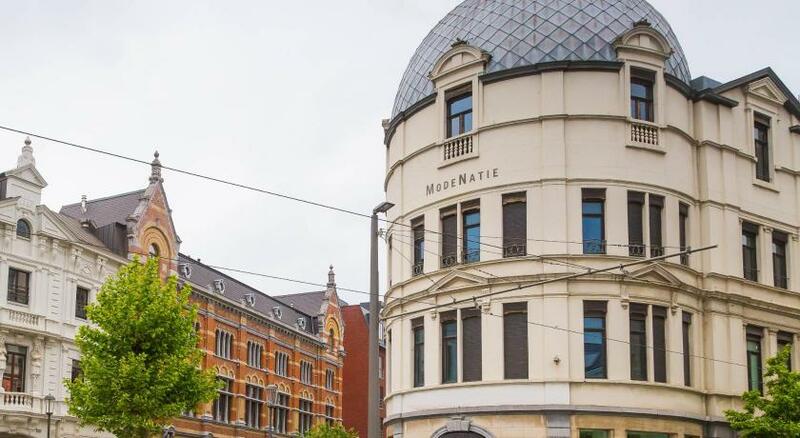 One of our top picks in Antwerp.Set in a monumental building in the heart of historic center of Antwerp, Hilton Antwerp Old Town overlooks the Groenplaats Square. 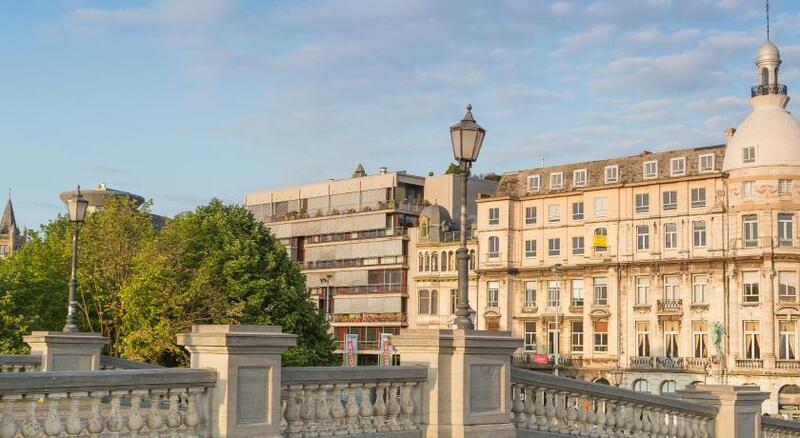 There is a 24-hour gym and Executive Room and Suite bookers benefit from the Executive Lounge and its roof terrace overlooking the Cathedral of Our Lady. De Meir shopping street is around the corner. Free WiFi is available in public areas. 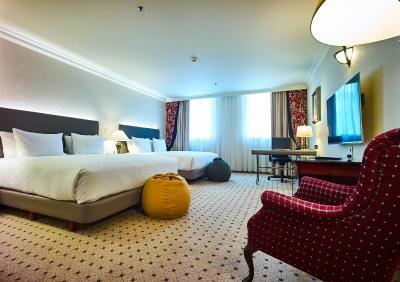 The spacious, air-conditioned rooms at Hilton Antwerp Old Town feature Serenity bedding and have a 32-inch flat-screen TV. Each room includes a mini-bar, a large desk with an ergonomic chair and a marble bathroom with a bath and separate shower. Coffee and tea facilities are provided. Guests of the Executive Rooms and Suites benefit from complimentary breakfast as well as free snacks and drinks at the Superb Executive Lounge with private rooftop terrace. 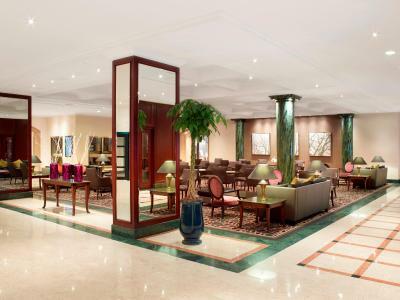 Enjoy a cup of coffee or tea in the modern and renovated Lobby Lounge. 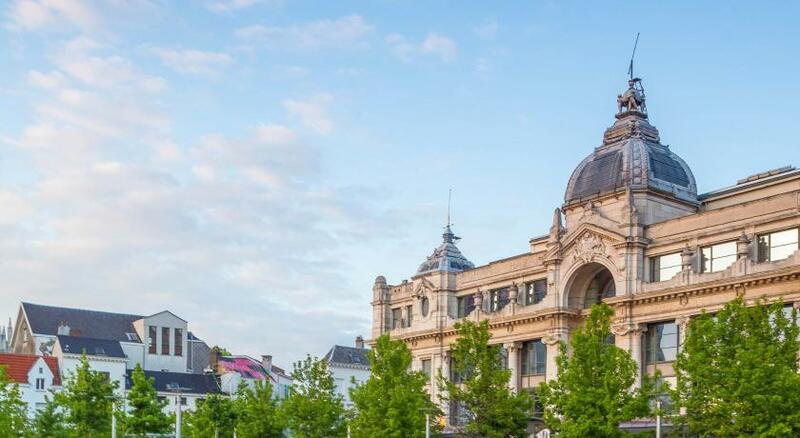 Offering stylish décor, the “Brasserie Flo Antwerp” offers authentic French-Belgian cuisine using fresh and fine products. The seafood counter brings a variety of dishes, from a sea fruit plateau to lobster. Guests can enjoy local beers or home-made cocktails at the bar. Around the clock room service is available. 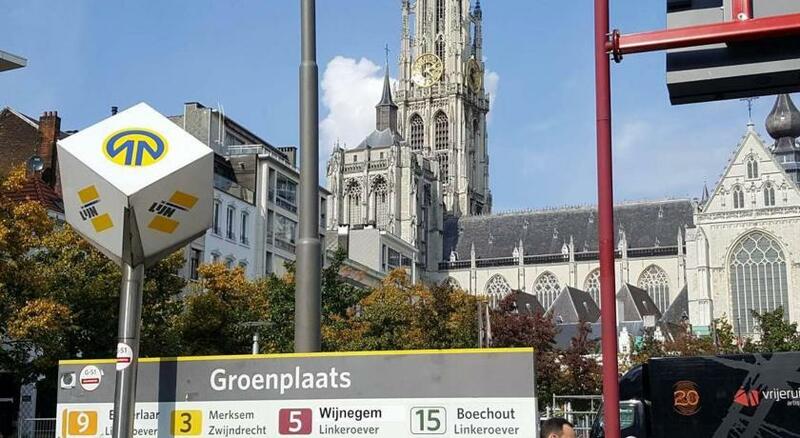 Groenplaats Tram Stop is 500 feet away, connecting to Antwerp Train Station in 3 stops. 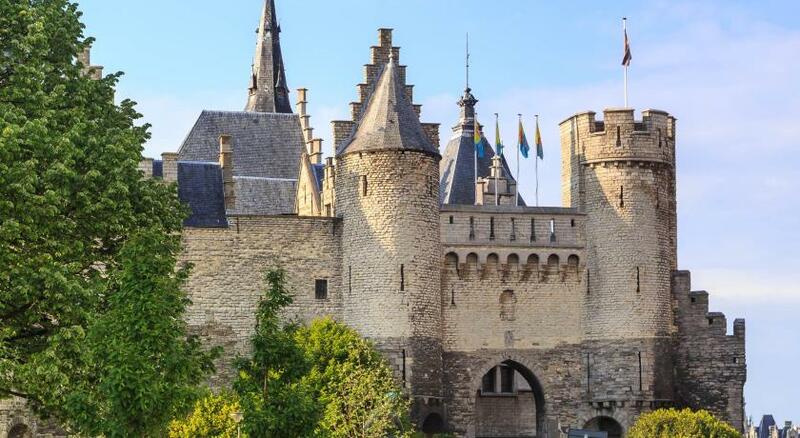 It is 4 minutes' walk to the Town Square with the City Hall and the Steen Medieval Fortress is a 9-minute walk. 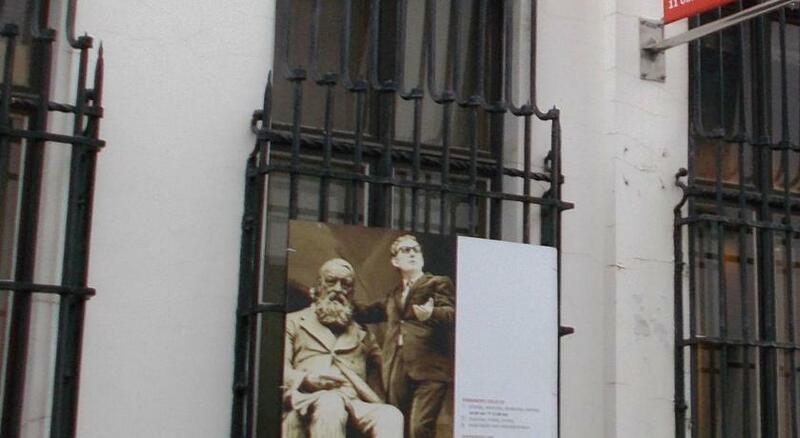 The MAS Museum is less than a 15-minute walk away. 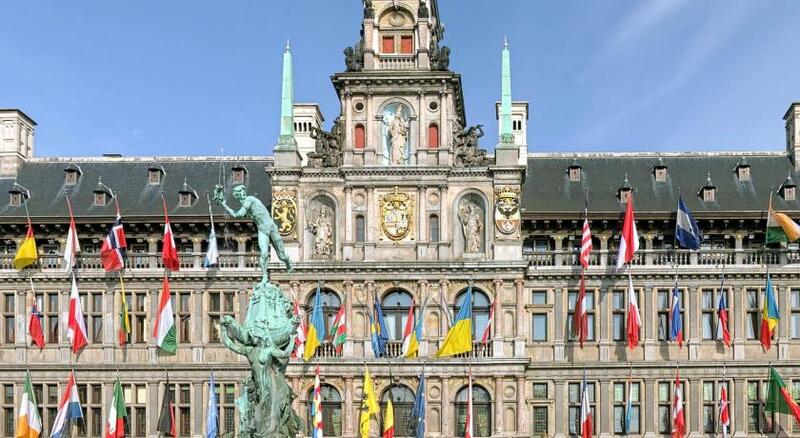 Hilton Antwerp Old Town is a 15-minute drive from Antwerp International Airport. 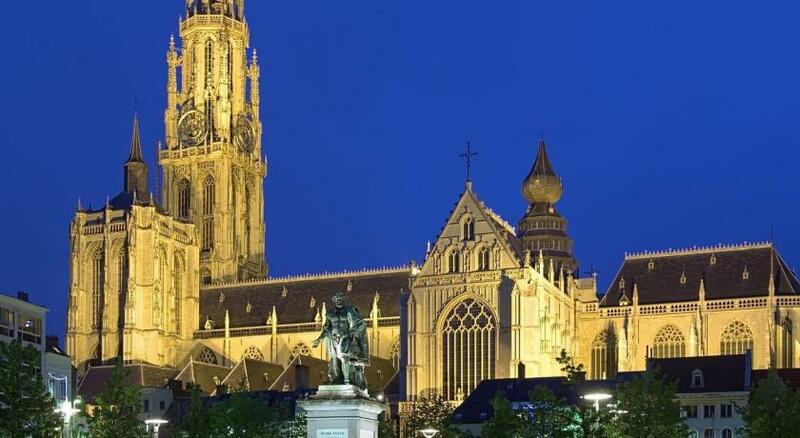 Antwerp Center is a great choice for travelers interested in museums, atmosphere and cafes. 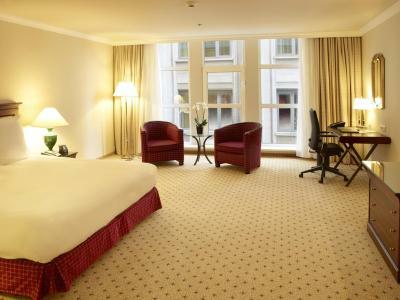 When would you like to stay at Hilton Antwerp Old Town? 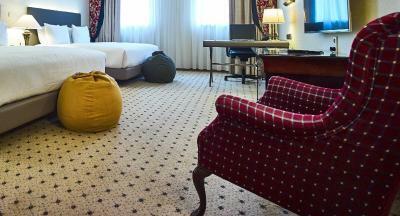 This very spacious room has a marble bathroom with a bathtub and a shower, as well as free toiletries. 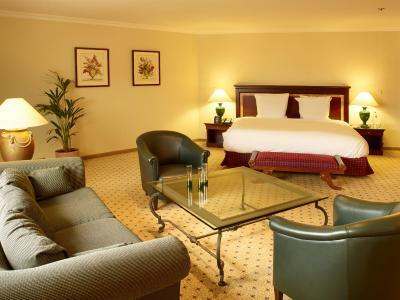 It also includes complimentary mineral water for your convenience, a flat-screen TV and coffee and tea facilities. A large work desk with an ergonomic chair is provided. 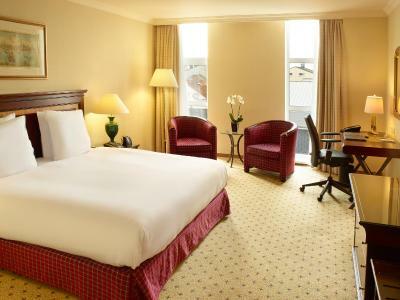 Featuring a king bed, this spacious room has a marble bathroom with a bathtub and a shower, as well as free toiletries. It also includes a flat-screen TV, coffee and tea facilities and an ergonomic chair. 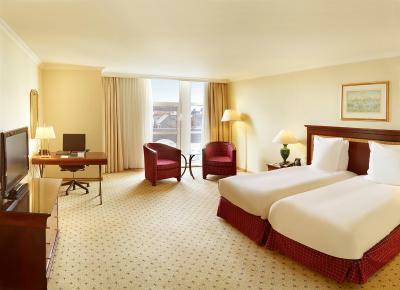 This spacious room features a marble bathroom with a bathtub and a shower, as well as free toiletries. It also includes a flat-screen TV, coffee and tea facilities and an ergonomic chair. 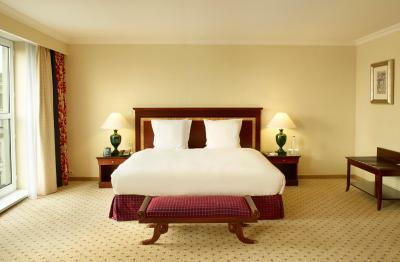 This spacious room comes with a king-size bed, a marble bathroom with a bath and a shower, as well as free toiletries. It also features a flat-screen TV, a large working desk with an ergonomic chair and coffee and tea facilities. This room also includes free access to the Executive Lounge offering a panoramic rooftop terrace, breakfast, snacks and drinks. The Executive Lounge is open between 6:00 and 21:30 from Monday to Friday and between 7:00 and 23:00 on Saturdays and Sundays. 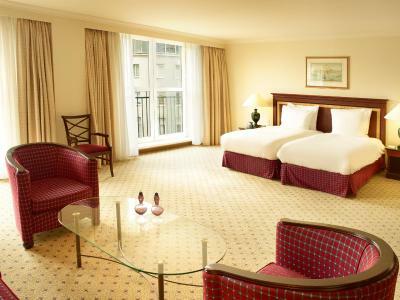 This spacious suite includes a king bed, a marble bathroom with a bathtub and a shower, as well as free toiletries. It also features a sitting area with a sofa, a flat-screen TV, a large work desk with an ergonomic chair and coffee and tea facilities. This suite also includes free access to the Executive Lounge which includes a panoramic rooftop terrace, breakfast, snacks and drinks. The Executive Lounge is open between 6:30 am and 11 pm from Monday to Friday and between 7 am and 9 pm on Saturdays and Sundays. 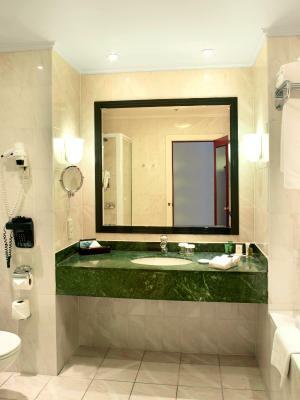 This room includes a marble bathroom with a bathtub and a shower, as well as free toiletries. It also features a flat-screen TV, a large work desk with an ergonomic chair and tea/coffee-making facilities. This room also includes free access to the Executive Lounge, featuring a panoramic rooftop terrace, breakfast, snacks and drinks. The Executive Lounge is open between 6:30 am and 11 pm from Monday to Friday, and between 7 am and 9 pm on Saturdays and Sundays. 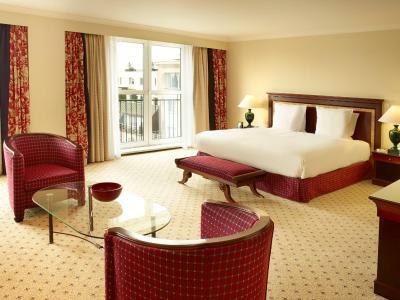 This spacious suite comes with a king-size bed, a marble bathroom with a bath and a shower, as well as free toiletries. It also features a separate living room, 2 flat-screen TVs, an iPod docking station, a large working desk with an ergonomic chair and coffee and tea facilities. 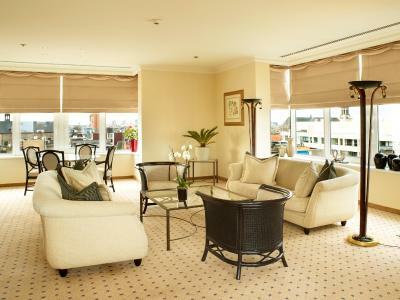 This suite also includes free access to the Executive Lounge offering a panoramic rooftop terrace, breakfast, snacks and drinks. The Executive Lounge is open between 6:30 and 23:00 from Monday to Friday and between 7:00 and 21:00 on Saturdays and Sundays. Please note that maximum 2 extra beds are available for this room type. 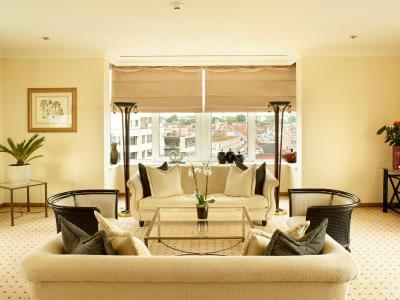 A tremendous amount of space and a seperate living room with a range of convenient amenities. This suite also includes free access to the Executive Lounge offering a panoramic rooftop terrace, breakfast, snacks and drinks. The Executive Lounge is open between Monday - Friday 6:30 - 23:00 and on Saturdays and Sundays between 7:00 - 21:00. 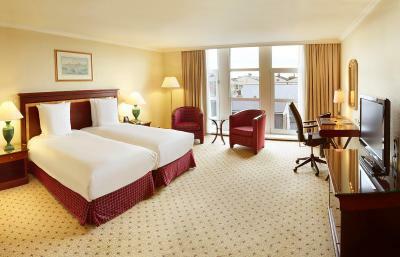 This room type features two 2 king beds and a 42-inch TV. It also includes free access to the Executive Lounge with complimentary continental breakfast, refreshments and drinks throughout the day. 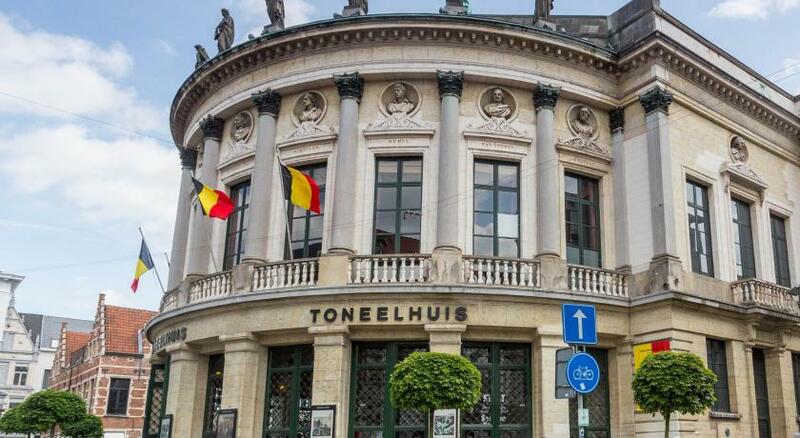 Our team welcomes you to the Hilton Antwerp Old Town. Warm smiles and friendly service is our policy! 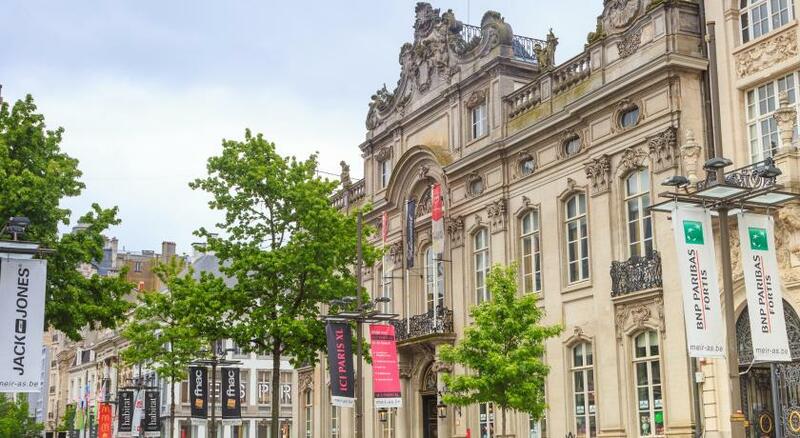 Immerse yourself in the most central location of Antwerp with easy access to the finest shops, restaurants and the exclusive Diamond District. Hotel surroundings – This neighborhood is a great choice for travelers interested in museums, atmosphere and cafes – Check location Excellent location – show map Guests loved walking around the neighborhood! 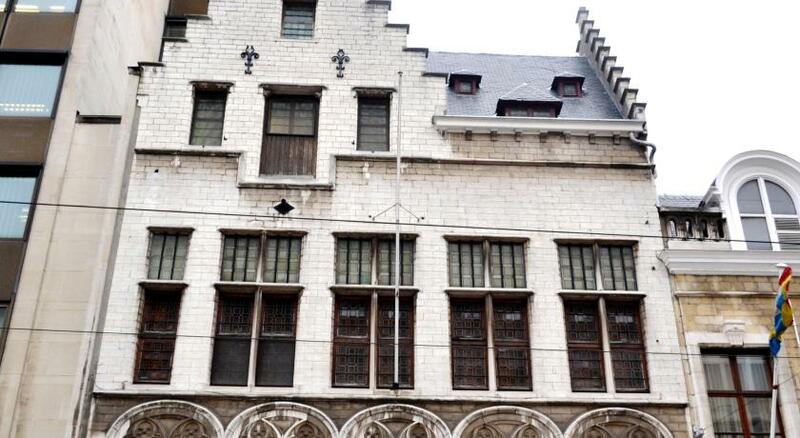 House Rules Hilton Antwerp Old Town takes special requests – add in the next step! ATM card Hilton Antwerp Old Town accepts these cards and reserves the right to temporarily hold an amount prior to arrival. 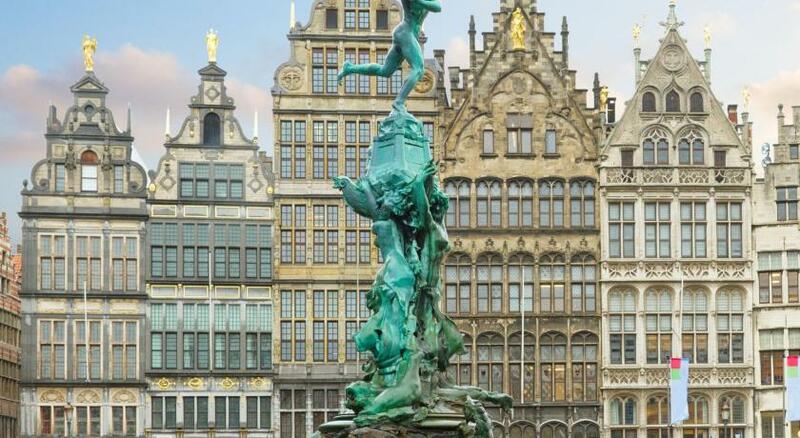 Hilton Antwerp Old Town accepts these cards and reserves the right to temporarily hold an amount prior to arrival. Please note that the Superb Executive Lounge has specific opening times. Please note that the amount specified in the deposit policies is a refundable deposit and will be refunded upon check-out providing no damages have been caused. 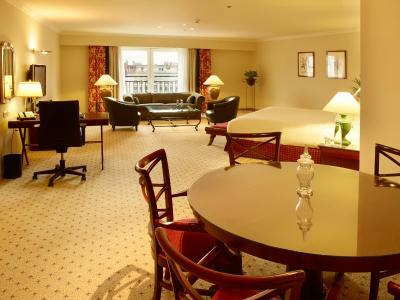 Please note that when the occupancy in the room is above 2 guests, the 3rd and 4th people will sleep in a rollaway bed. 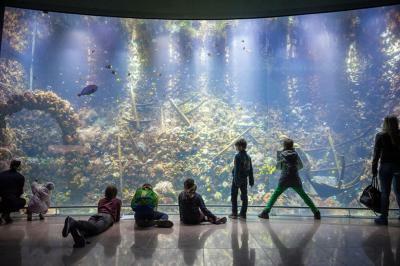 Please inform Hilton Antwerp Old Town during the booking process if you are coming with one or more children. Please note that the non-smoking policy applies to both traditional cigarettes and e-cigarettes. 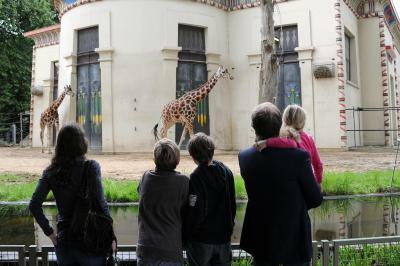 Please note that maximum 1 pet, with a maximum weight of 11 kg, is allowed per room at a surcharge of EUR 50 per stay. 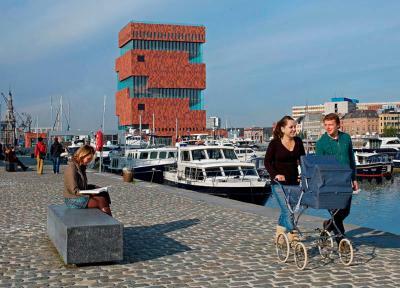 Please note, from February 2017, Antwerp has become a low emission zone. To enter the city center, foreign number plates must be registered. Guests can register the car until 24 hours after entering Antwerp and it can be done at the hotel's car park. For more information contact the hotel after booking. No gowns in the room. Not enough coffee, sugar and milk in the room's coffee station. Lovely location. Very friendly staff. Great breakfast. Nice vibe. 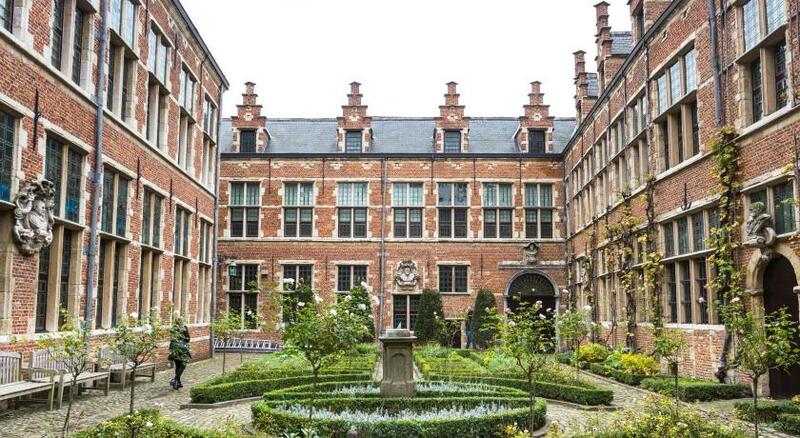 Location is second to none, right in the heart of Antwerp. Friendly staff, nice, if pricey, breakfast and great atmosphere. Freshly cooked poached eggs. Staff delightful. Wifi should be free! That was disappointing. Should also not have powdered coffee in the rooms. There are better solutions. Beautiful building in nice area. Nice and big rooms. Well equipped. Nice staff and service. The location is great! Middle of city center!! The hotel is fine, but the rooms are a bit outdated. Beds were super nice! Wifi was not free - very miserable of them not to provide it free !!!! The location was good. Nice breakfast.